Is there a way to automatically draw curved edges using tikz's algorithmic graph drawing? 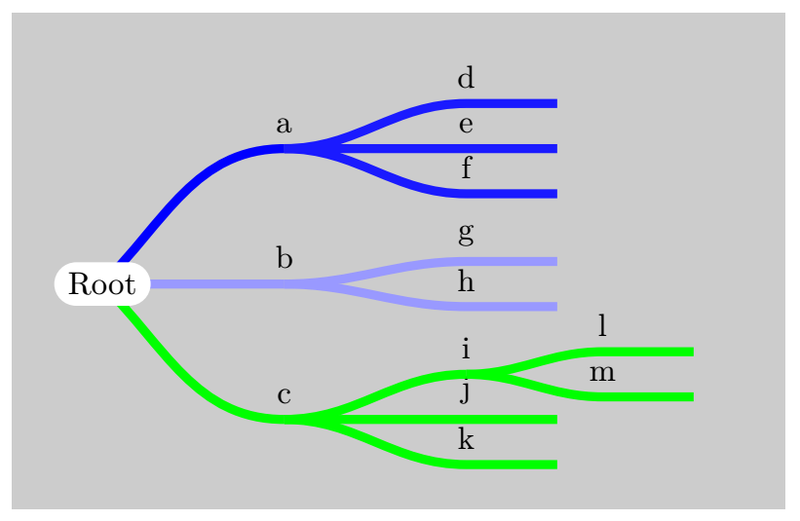 With tikz, I can draw the below but is there any way for it to automatically bend/curve edges for aesthetics / saving space? Can one also colorize siblings / descendants automatically without implementing a custom Lua drawing script? Personally, I wouldn't bother with the graph-drawing stuff for drawing trees. 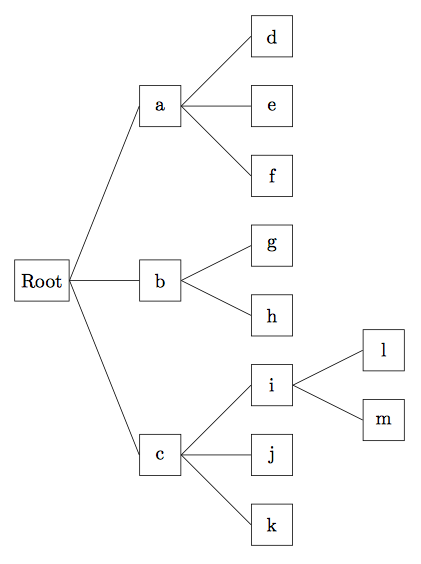 If you need arbitrary graphs, it is different - options are very limited. 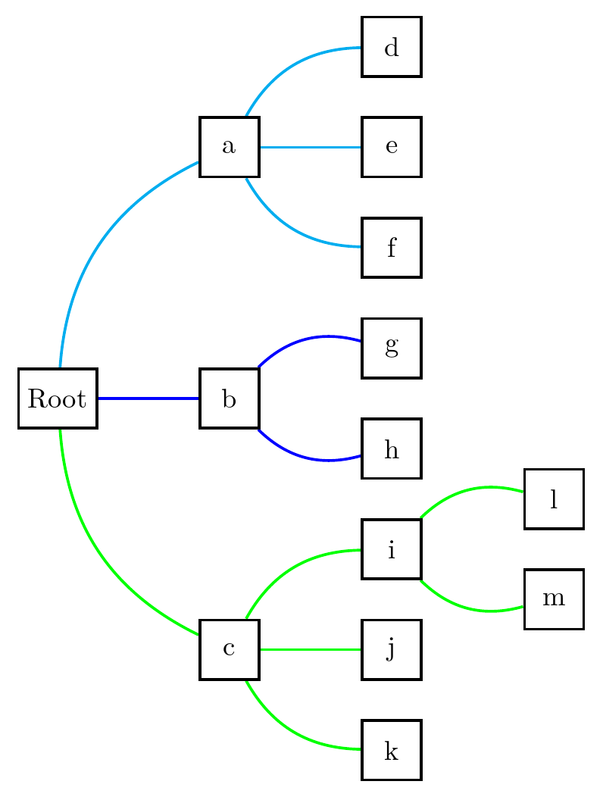 But trees have lots of support from specialised packages, many of which support very concise syntax, albeit not the same syntax as the graph-drawing stuff provided by TikZ. which is particularly useful if you need to use a style for many trees. The colouring could be built into the style, but I assumed this was more likely to vary than other elements, so just used a simple convenience wrapper for use in specifying colouring for a particular tree. 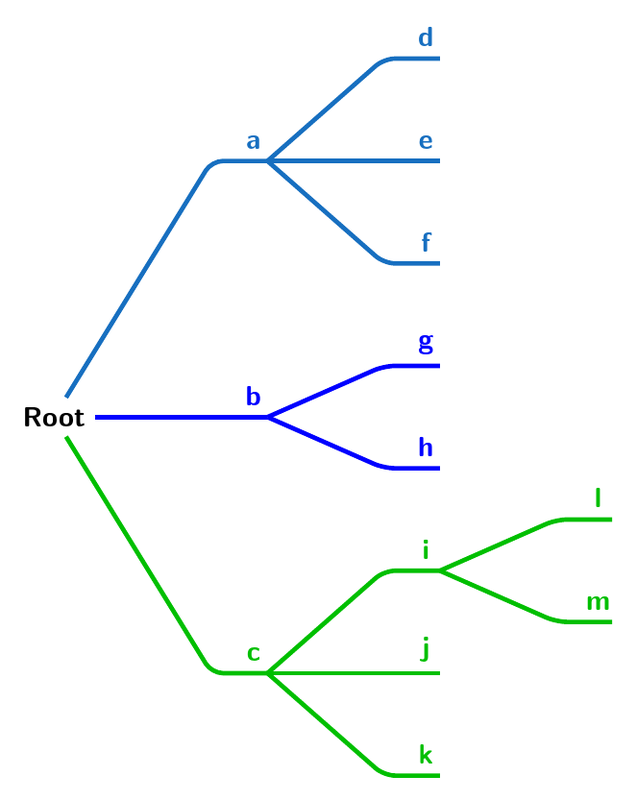 In this case, the colouring is specified for each of the root's children and automatically propagated to each child's descendants. You are welcome :) could be a little more automated and also needs some finetuning, but I gotta go for now. Feedback is also welcome! Not the answer you're looking for? 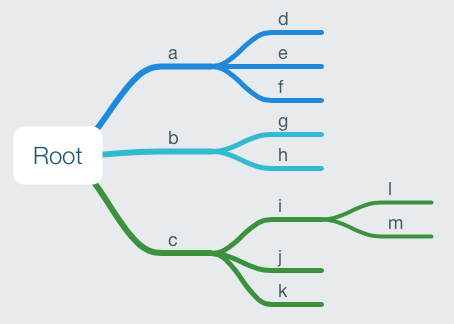 Browse other questions tagged tikz-pgf luatex trees tikz-graphdrawing or ask your own question.